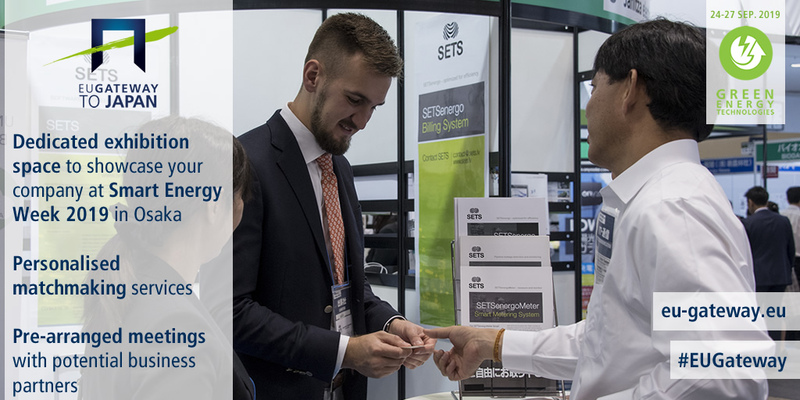 The second Green Energy Technologies market-scoping mission to Japan will occur from 24 to 27 September 2019 in Osaka. Building on last year’s successful experience, the mission will take place within the World Smart Energy Week Osaka, where companies will have individual built-up booths within the designated EU Pavilion. EU Gateway | Business Avenues provides participants with English-Japanese interpreters assigned to the meetings, logistical support during the entire week, schedules individual meetings, and promotes the participating companies in the Japanese market. Eligible European companies can apply online before 24 May 2019.